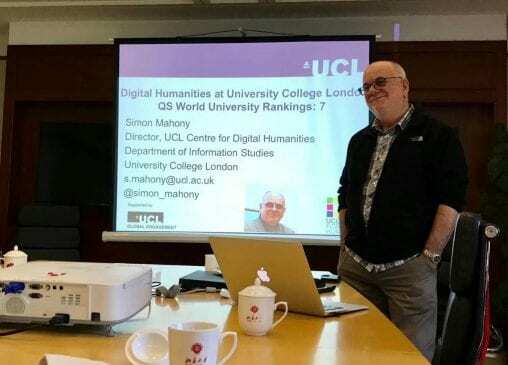 UCLDH deputy director Julianne Nyhan gave a presentation at the Institute of Historical Research Digital History Seminar on Ethics and Digital History. Dr Nyhan drew on her oral history research to reflect on the ethical aspects of using oral history methodologies to research the ‘hidden’ histories of Digital Humanities. Among other questions she asked: who ‘owns’ oral history interviews and transcripts? What are the implications of being an ‘insider’ of the (academic) community one is seeking to research? What about the ethical issues that can occur ‘downstream’ of oral history research, for example, the use of contingent labour to provide research assistance and interview transcription? UCLDH is delighted to have two team members giving UCL Lunch-Hour Lectures this term. Team member Dr. Rachele De Felice will be discussing ‘What’s Really Going On in Hillary Clinton’s Emails?’ on 16 October 2018. Dr De Felice will explore questions of manners, who gets stuck with the boring tasks, and what kind of boss Clinton is. Dr Oliver Duke-Williams will speak on 27th November on ‘What Can the ONS Longitudinal Study Tell Us about Time Travel and about the Force?’ Dt Duke-Williams will outline what the study is and explain how to apply to use it by drawing on two examples: the film Back To The Future; and the Star Wars films. Lunch Hour Lectures are an opportunity for anyone to sample the exceptional research work taking place at UCL, in bite sized chunks. Speakers are drawn from across the university, and lectures frequently showcase new research and recent academic publications. The journal Heritage Science has released a video abstract of the paper UCLDH team members co-authored on advanced imaging for investigating inscribed papyrus in mummy cartonnage. The full original paper is also available to read online. The co-authors are all part of the Deep Imaging research project team. UCLDH are delighted to be offering three 4-day RTI training courses this summer. There are still a few spaces left on each of the dates – book now to avoid disappointment! During the course you will cover the complete RTI digital imaging work flow, from planning to archiving and publication. You will gain practical knowledge about equipment, image capture setups, and software, using examples from different areas of cultural heritage. You will follow a step-by-step guide through processing the images and how to use different viewing modes to examine details of the image. These courses are perfect for: museum, library, and photographic staff working in conservation and education; archaeologists, historians, and anyone working with collections; anyone interested in Reflectance Transformation Imaging technology and its practical application. You can find dates and booking details on the UCLDH website. UCLDH were pleased to host the British Library Labs team on 24th April for their 2018 roadshow. This is the third time UCLDH have hosted the BL Labs, and the success and popularity of the now annual event continues to grow, with over 70 people registered this year. This year’s event included a series of presentations exploring the British Library’s digital collections, how they have been used in various subject areas such as the Humanities, Computer Science and Social Sciences and the lessons learned by working with researchers, including UCLDH team member Tessa Hauswedell who spoke about her project the “Oceanic Exchanges” Project:Tracing Global Information Networks In Historical Newspaper Repositories, 1840-1914. The Roadshow showcased examples of the British Library’s digital content and data, addressed some of the challenges and issues of working with it, and how interesting and exciting projects have been developed via the annual British Library Labs Competition and Awards. There was some good discussion around potential ideas of working with the Library’s data, and the UCLDH team look forward to hopefully seeing some of these projects come to fruition over the next few years! Recently, I have been very pleased to be able to accept more networking and speaking invitations from the ever-growing number of DH groups in China. In November I was an invited speaker for the DH strand at the Cross-cultural, Cross-group and Comparative Modernity Conference in Fudan University Shanghai along with delegates from many different nationalities; interestingly (and fortunately for me) all the presentations were in English. December took me to Shenzhen, via Hong Kong, and the University Town Library there for the International Conference on Library and Digital Humanities. They had speakers, on a range of themes, from the UK and USA as well as China, and interestingly mostly from libraries where DH centres in China and the USA are usually found; my slot was in the Higher Education and Digital Humanities strand which enabled many conversations and new connections to be made. 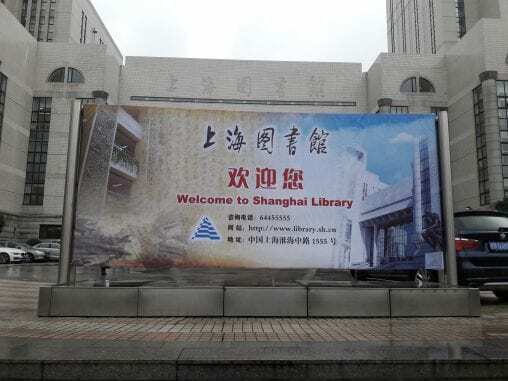 One new such connection was with DH researchers at the Library of Shanghai, a public as well as an academic and research library with a strong and committed DH team. In January of this year I was greeted there with a magnificent lunch, a tour of their preservation and research labs, and introduced to their research projects involving both genealogy and the historic local built environment. 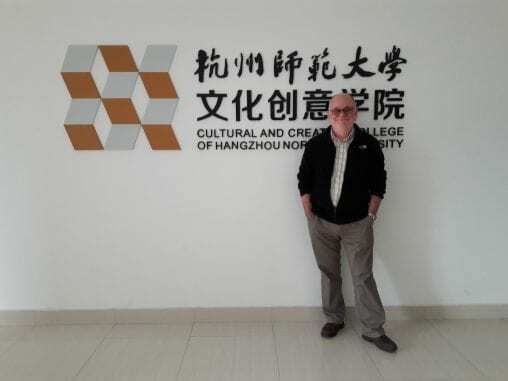 The January visit to Shanghai was enabled by funding from the UCL Global Engagement Fund that I received to support networking and research into interdisciplinary and cross-cultural education. Some of this funding was marked for the translation of teaching material for an undergraduate workshop at the China Academy of Art, Shanghai Institute of Design (that I have visited several times now) and as a follow up to the workshop I ran there in January 2017. This is a design institute and the students are great at producing videos but have no background in the Internet or the web and so this workshop mostly covers the coding of webpages along with the all important usability and accessibility built into the design. I, of course, have a translator but this helps with their English language learning too. Remember when giving talks to Chinese students, always allow extra time at the end for group photos and selfies. 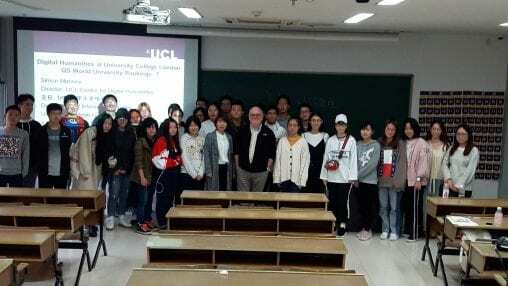 UCL’s Global Engagement funding covered the flights for the Shanghai visit and money to pay a student to help with translating the teaching materials which will go into a collection to later be released under an open licence as Open Educational Resources. Accommodation and hospitality was generously provided by the host institution. The successful candidate will be required to carry out research at a world-leading standard in terms of originality, significance and rigour, and to publish in the most prestigious locations. S/he will also be expected to play a leading role in maintaining the research environment within UCL DIS, and engage in external activities that bring national and international esteem to both the department and UCL. S/he will also teach and supervise students at undergraduate, graduate and PhD level, and play a full part in the life of the department, UCL and the wider research community, including key administrative duties and the pastoral case of students. 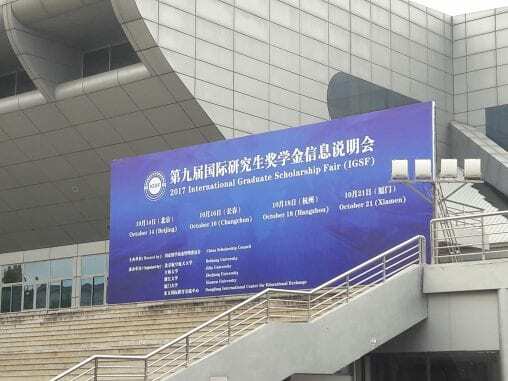 I was very pleased to be invited to represent UCL at the 2017 International Graduate Scholarship Fair in Beijing, organised by the China Scholarship Council. It is a really huge event with representatives from all the major universities worldwide. 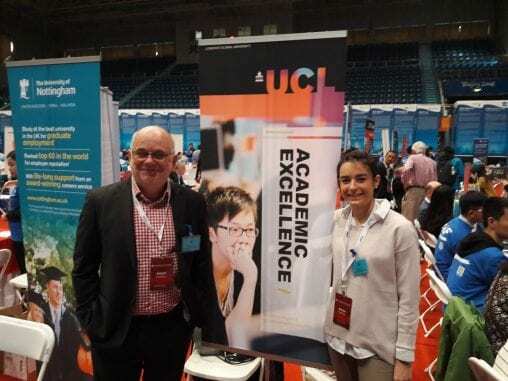 Together with a colleague from UCL Recruitment we had a continuous stream of excited students throughout the day, wanting to find out more about studying at UCL. The trip to Beijing made possible other opportunities for networking with the growing Digital Humanities community in China. 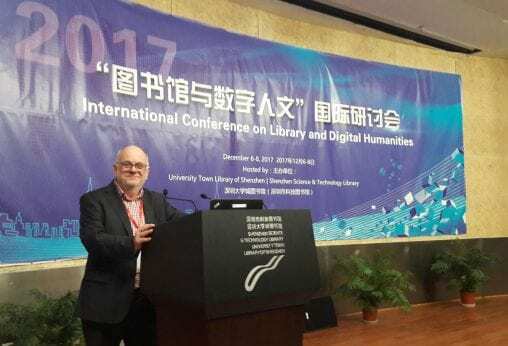 This, supported with funding from UCL Global Engagement, prompted a meeting at Peking University (PKU) where I gave a presentation about UCL and the UCL Centre for Digital Humanities. PKU is a strategic partner of UCL and I anticipate further connections being made with the DH people there over the coming year. I was hosted by the PKU Library and met with staff from there and Tsinghua University. The funding from UCL Global Engagement allowed me to extend the trip to Shanghai and Hangzhou. 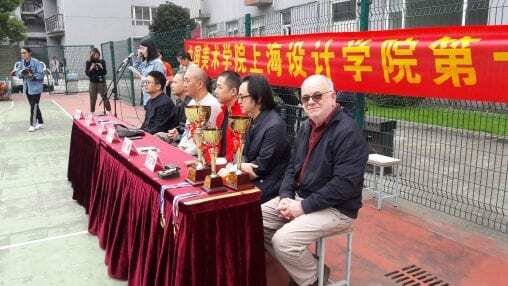 Visiting my contacts at the Shanghai Institute of Design coincided with their students’ sports day and I was invited to join in the prize giving. 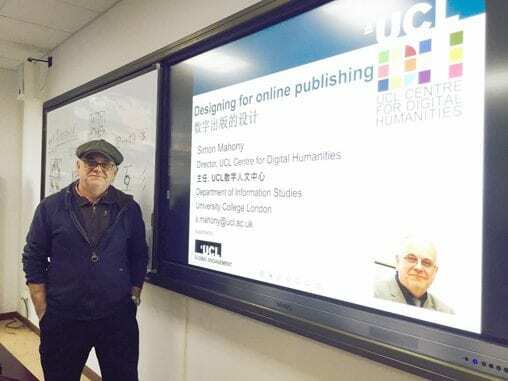 This was followed by a guest lecture at Hangzhou Normal University, introducing the students on their Digital Media Programme to UCL and to our Digital Humanities research and practice. 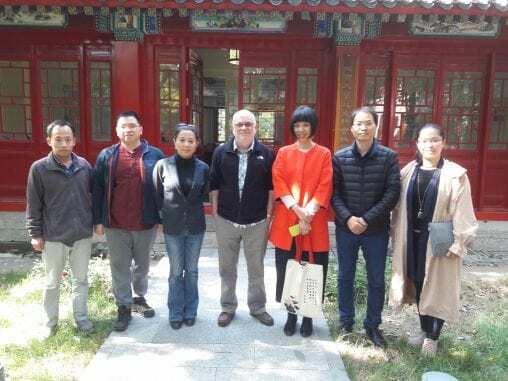 The visit to Hangzhou made possible a meeting and the start of building connections with the Digital Humanities group at Zhejiang University City College (ZUCC). I was hosted at a very impressive hotel by the Dean and Director of their Department of Visual Communication Design and discussed several of their projects. I have been invited back so expect more on this plus photos at a later date.